The holiday season always brings a nice in the tournament circuit giving players a chance to recharge their batteries, rebuild their bankroll at the local cash game, and a few even spend that time with their family. But things are ramping up now that 2013 has rolled around with a bunch of new festivals kicking off. 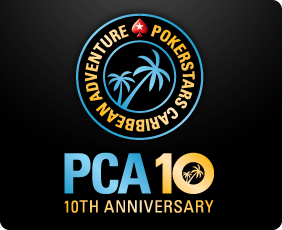 The latest running on the PokerStars Caribbean Adventure begins it’s schedule on the 5th, a couple WSOP Circuit events in Los Angeles and Choctaw, and the marathon festival of the LAPC is on the horizon. Minor tournament series continued to run in Vegas and Atlantic City even during the holidays but now it’s time to strap it up and get to work. The turn of the year also brings in a new batch of U.S. lawmakers, so the poker world will continue to look towards Washington for some hint that online poker might return to the States. The odds are still long and not exactly the most pressing matter for the country but there will be debate this year. Tweet of the Day – I really really need to learn this game. Perhaps Deebs can teach me at a rate affordable on an unemployed poker hacks salary. I’m stuck in an Open Face Chinese Poker time vortex. Bitcoin: Making Online Gambling Legal in the U.S.? – This article should send Bryan Micon into spasms. Using the magical, mysterious internet currency to circumvent U.S. online gambling laws. Texas Poker Gaming Act of 2013 Introduced in State Legislature – Another state, another poker bill. Maybe the federal government will start taking notice that it’s something people are thinking about. Also, shouldn’t you be able to play Texas Hold’em in Texas? Lottery chief opposes online gambling proposals – Meanwhile in Iowa, the head of the their lottery flew all the way to our national seat to tell the federal big boys to oppose all online gambling. Happy Holidays From PokerNews – Hello there Sarah Grant, Kristy Arnett, and Melanie Weisner. A little holiday video from our friends over at PokerNews.